China will promote its international competitiveness and serve as an engine for the opening up of the entire market of finance, thus support China’s high-quality economic development. The year 2018 marks the 40th anniversary of China’s reform and opening up. China is set to expand and deepen the reform of its capital markets and opened up the industry of financial service. This year, the Report on The Work Of The Government delivered the information that China will promote its international competitiveness and serve as an engine for the opening up of the entire market of finance, thus support China’s high-quality economic development. Several capital market opening up policies have been announced this year. These include the quadrupling of the daily transaction scale of the Shanghai-Hong Kong Stock Connect and the Shenzhen- Hong Kong Stock Connect since May 1; the ratio limit of foreign shareholdings in securities companies, fund management companies and futures companies which are included in the negative list was lifted to 51% in June, and all restrictions are set to be lifted in three years; the government has worked to steadily promote the pilot project of H-share “full circulation”, and is set to further open up the transaction range of A-shares to foreign investors. 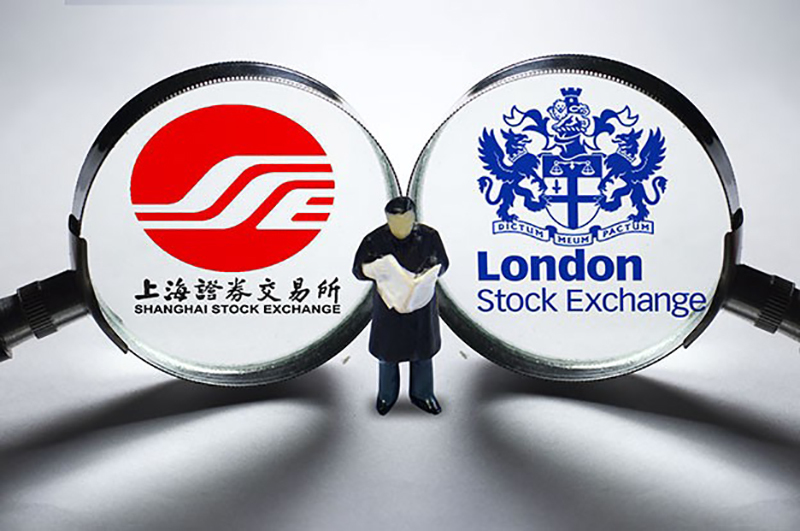 On the date of April 11th 2018, the president of People’s Bank of China, Gang Yi, declared China will launch the Shanghai-London Stock Connect Program by the end of 2018. By the meantime, the opening measures of some financial and service industries announced earlier had also been promoted in an orderly manner. For example, the previously announced restrictions on market access including bank card clearing institutions and non-bank payment institutions have been cancelled, and the foreign credit reporting agencies could enjoy the national treatment of credit rating services. From the documents released by the central governments, a series of reform measures had been put forward. As early as Jun 16th 2017, the State Council of China recently published a statement regarding the market access of foreign investors in free-trade pilot zones in which a timetable for the opening up of financial institutions is given. On the date of Jun 30th 2018, the Development and Reform Council as well as Ministry of Commerce announced a new version of Negative List, which allowed other parts of China covered by all these policies. Besides that, the State Council has formulated a reasonable plan to gradually lift restrictions in the ratio of foreign shareholdings. On the date of Jun 15th 2018, Notice on Several Measures for Active and Effective Use of Foreign Capital to Promote High-Quality Development of Economy released by the Chinese government has clearly pointed out that China will further open up its financial sector, services sector and other sectors including agriculture, mining and manufacturing. 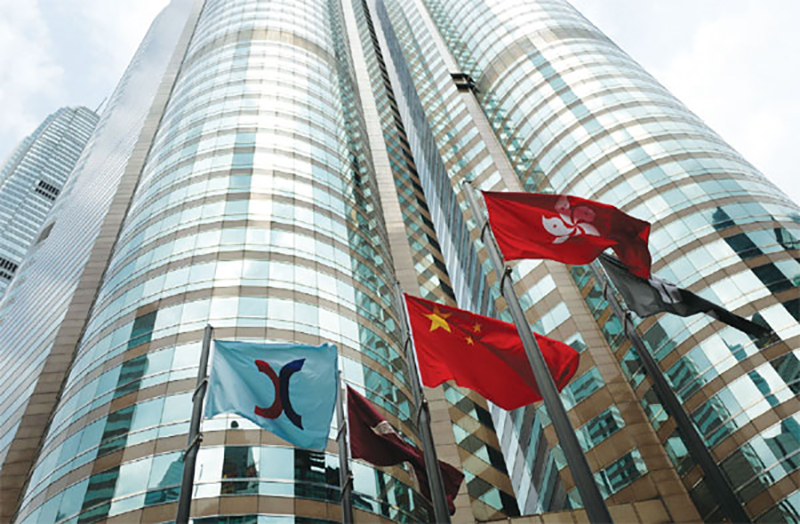 In the first half of this year, Securities Regulatory Commission also eased restrictions on setting up foreign financial institutions, the SAFE revised regulations related to Qualified Foreign Institutional Investors (QFII) and RMB Qualified Foreign Institutional Investors (RQFII), and deepened reforms relating to foreign investment facilitation. 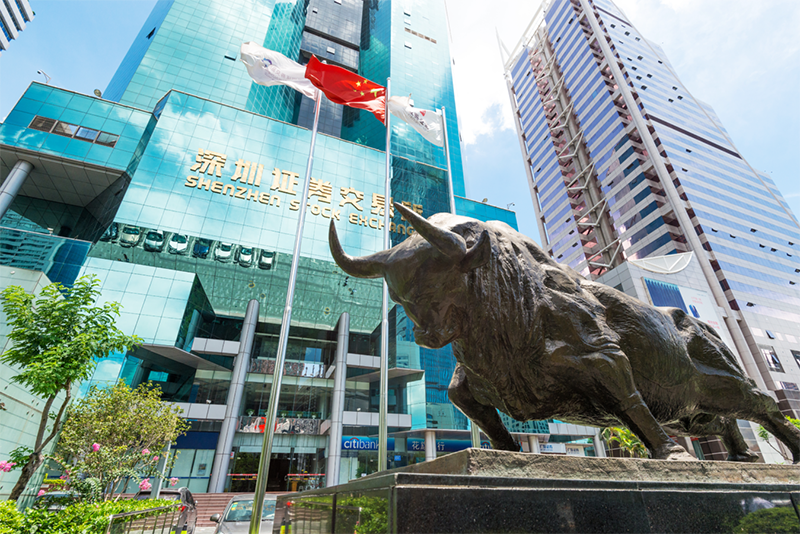 Shanghai-Hong Kong Stock Connect, Shenzhen-Hong Kong Stock Connect and the upcoming Shanghai-London Stock Connect have provided channels for overseas investors to directly participate in China’s capital markets and share in the benefits of China’s development. The cross-border capital inflow of securities investment to China in the first half of 2018 was two times greater than the same period of last year, indicating that China’s capital market has gained extensive support, the opening-up policy has achieved substantial outcomes and foreign investors’ confidence in Chinese companies’ equity has grown steadily. The growing internationalization of capital market participants has provided facilities for the financing of domestic investors. The scale of international investors in some securities has been expanding, and the asset value of securities is gaining international recognition. These factors have provided reliable references to the fair pricing of enterprise market value, which is recognized internationally. The inflow of Chinese securities products held by overseas investors has also benefited from more convenient conditions due to the launching of channels including Shanghai-Hong Kong Stock Connect, Shenzhen-Hong Kong Stock Connect and the upcoming Shanghai-London Stock Connect. Additionally, in terms of investments and financing, companies can perform overseas investments, mergers and acquisitions more easily by means of cross-border share exchange. The proportion of China’s capital market at the present time as a part of the overall financial system is rather small. Indirect financing including bank credits and loans are still the main part of corporate finance. Direct financing methods including bonds and stocks are less developed, which have restrained company financing, and to some extent have propelled the development of shadow banking and off-balance sheet activities. Compared with developed countries and emerging economies, the degree of internationalization of China’s capital market remains rather low. The price earning ratio of some products that have not yet been listed in the Shanghai-Hong Kong Stock Connect, Shenzhen- Hong Kong Stock Connect, and Shanghai-London Stock Connect pilot projects remain high. Additionally, problems of index synchronized volatility remain obvious, and additional problems including market instability and low price discovery efficiency persist. China’s de-listing system is still incomplete, and securities of low-efficiency companies occupy precious financial resources. The development of the bond market is lagging, and factors including rigid payments have rendered a limited variation in bond pricing. The turnover rate of the public debt market is rather low, and most institutions will hold debts to maturity, hence the function of interest discovery cannot be fully displayed. 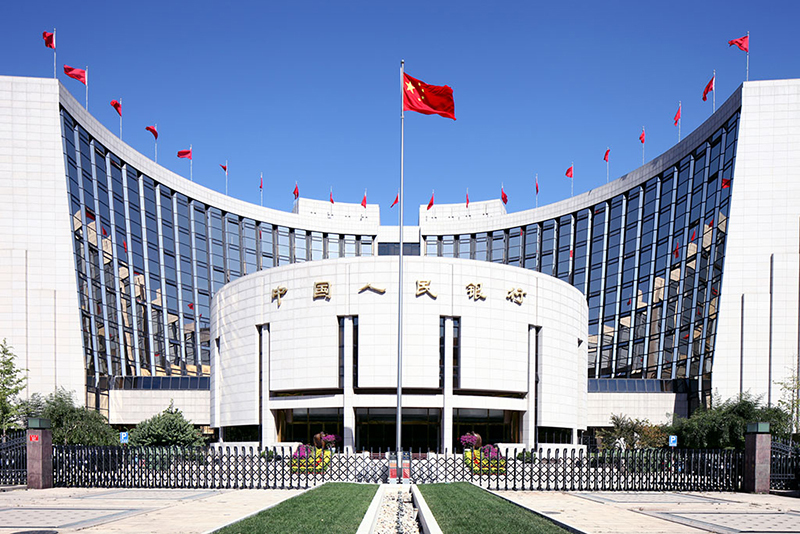 Δ The People’s Bank of China is the central bank of the People’s Republic of China responsible for carrying out monetary policy and regulation of financial institutions in mainland China, as determined by Bank Law. How to Further Improve China’s Capital Market? However, the savings rates of Chinese households are high, and in addition, some individuals with high net-wealth have intensive needs for internationalized asset allocation. The endogenous impetus for the build-up and development of multi-level capital markets is powerful. Therefore, the internationalization potential of Chinese capital markets is great. In order to meet the needs of China’s domestic investors, the scale of opening-up of capital markets should be further expanded. China should also proactively learn from the international advanced benchmark and maintain its path of promoting reform and opening up. China could further enhance the opening up of its financial services sector, striving to lift the equity ratio limit on foreign reference banks, securities and insurance institutions, remove recessive industry access barriers, proactively attract more foreign financial institutions and investors to participate in China’s capital markets, expand the scale of the Shanghai Stock Exchange and the Shenzhen Stock Exchange and extend the range of marketable securities to attract more foreign investors. In view of these current problems, how can China further improve its multi-level securities and stock market? First, China should keep improving its main board market, optimize audit procedures and expand the number and types of marketable securities to provide investors with a greater number of choices. It should further regulate the refinancing of listed companies to optimize transaction mechanisms. It should increase the ratio of A-shares in the MSCI index to promote the international recognition of its securities market. Second, China should actively and steadily develop its bond market, expand the pilot regions of innovative bonds, improve market pricing mechanisms and regulate company management. Also, it should strengthen the promotion of green bonds and enhance green economy services. Third, China should enhance supervision of companies and improve the regulations and systems governing trading markets to protect the legal rights and interests of investors. It should develop rules relating to penetrating information disclosure by improving the information disclosure systems of listed companies. It should use opening up to drive reforms and regulate domestic market building. It should reform the system of issuing and relisting to attract more private and foreign capital inflows, and stimulate trading vitality.